John Donaldson ('Delta') says in his reminiscences (Illustrated London News, 8 Nov. 1879, p.443) that he first met James Donaldson about 1845 and 'played with him, in all, five games, of which he won three and I two.' 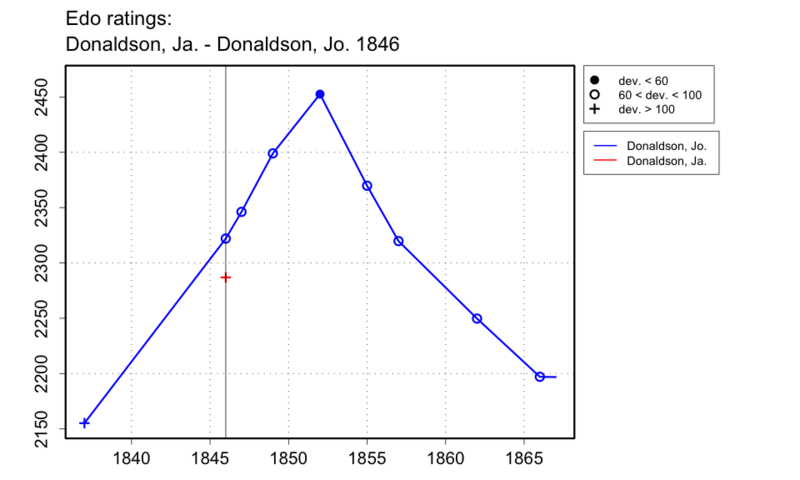 James Donaldson died early in 1848, so these games could only have been played between 1845 and 1847. In a later set of reminiscences in the British Chess Magazine (see CN6076), Delta says that they were played in 1846.